During the last two weeks, Aragon illustrated average social activity in the media landscape. To start with, John Light has created Aragon Network Vote #2 Megathread in the forum containing all important information about the next Aragon Network vote. Aragon Governance Proposals for #2 vote are due in just under one month, on April 11th, 2019. Luis Cuende wrote a post on user support and product feedback. Jorge Izquierdo explored what Aragon Court v1 is, his post is mostly a development update on the current state of the implementation and some aspects that team is still researching about and deciding on. More AraCon videos appeared on the official Aragon Youtube channel. Aragon community continues to grow. The list of DAO is rapidly increasing: on March 26th, 2019 there almost 400 Aragon DAOs on mainnet. There is a constant slight growth in Aragon social media channels and a stable increase in the number of token-holders. And last, but not the least — these weeks Aragon being used by Livepeer Node to manage staking returns. Aragon Governance Proposals for the next Aragon Network vote are due in just under one month, on April 11th at 16:00 UTC. To consolidate information about the upcoming Aragon Network Vote #2 John Light has created Aragon Network Vote #2 Megathread in the forum containing all important information about the vote. In addition to using this thread for discussions, you can also use the Aragon Governance page 8 on the Wiki as the “single source of truth” for all important Aragon Governance Proposal (AGP) information and voting announcements. Any important updates will be linked there as soon as they’re announced through other official channels. So when in doubt, you can always check that page and have the most up-to-date info about the vote. The AGPs repo 5 will still be used for submitting AGPs and used as a historical archive of AGPs and Aragon Association review votes, but the wiki will be the main place to look if there are any questions about what the most up-to-date information is about an upcoming vote. These dates may change if an emergency delay is approved by the Aragon Association Board of Directors. Check the Aragon Governance page 8 on the Wiki to confirm if you have any doubts. Sign up for the voting alerts mailing list here. by Luis Cuende, CEO at Aragon One Team. This first version of the Aragon Court has been heavily inspired by Kleros’ work. The code for the work-in-progress court has now been open sourced:. This post is mostly a development update on the current state of the implementation and some aspects that team is still researching about and deciding on. aragonCLI Extensibility by Olivier Sarrouy. DAO for an Open Source Code Academy by Dan Nolan. Aragon Coop DAO — A Minimun Viable Manifesto (MVM) by Gustavo (sepu85). - Kicking off Sprint 7 towards 0.7 launch! - Hopefully start coding on profiles! All Aragon Devs #18 video. Aragon App Development Survey — Autark would like to hear about your experience, especially if you had trouble or faced limitations. Please take a few minutes to take this brief survey and help us make it easier to #BUIDL with Aragon. EthCC 2: Jorge Izquierdo: Aragon One CTO’s EthCC presentation about Upgrading Aragon Voting Infrastructure. Current State of Token Curated Registries panel — AraCon 2019. Moderator: Luke Duncan. Panelists: PJ Leimgruber, Trent McConaughy, Jeff Emmett. Recruiting For A Diverse Web3 panel — AraCon 2019. Moderator: Monica Zeng. Panelists: Raine Revere, Medha Kothari, Taylor Monahan. Identity in DAOs panel — AraCon 2019. Moderator: John Light. Panelists: Jordi Baylina, Adam Stallard, Rouven Heck. Open Source Sustainability panel — AraCon 2019. Humanist Technology in Oppressed Societies by Moises Rendon — AraCon 2019. Power by Proxy: The Case for Crypto Cartels by Meltem Demirors — AraCon 2019. TheDAO — From the Author’s Perspective by Christoph Jentzsch — AraCon 2019. Nest Program Demos Day 2 — AraCon 2019. Featured projects: BrightID. Minimum bias ethereum signal aggregator by TennaGraph. Decentralized Design Lab. Closing Keynote by Luis Cuende — AraCon 2019. Watch more AraCon2019 videos in the playlist. There is a stable increase in the number of token-holders. Granular areas of focus with well defined scope and product specifications. Allow people to delegate their voting power to delegates (i.e. representatives) who can vote on their behalf and continue experimenting with new voting mechanisms. Enhanced voting. Aragon One. Provides a secure foundation for managing collateral deposits for agreements while allowing collateral assets to be used in to participate in governance. Dispute Resolution. Aragon One. This deliverable includes the Aragon Court protocol, an interface for users of the court to review and manage agreements and disputes, and an interface for jurors to participate in the arbitration process. Dispute Resolution. Aragon One. Wider areas of focus with some flexibility on the scope. Aragon Agreements are a core component of the Aragon Network, they enable users to define human-readable obligations and lock collateral to provide assurances to their counter-parties. Dispute Resolution. Aragon One. Improve the experience and scalability of voting by implementing a protocol for votes to be submitted to a set of bonded relayers. Enhanced Voting. Aragon One. Make the platform and core apps responsive so Aragon can be used from mobile browsers such as Status or Cipher. Mobile experience. Aragon One. As an intermediate solution for the full Aragon identity experience, we will allow people to create custom local labels to identify addresses that represent different members of the organization. Identity experience. Aragon One. Finalize the development of the Planning Suite, which enables issue curation, allocating bounties as a DAO, budgeting via range voting, and on-chain mapping of human-readable names to Ethereum addresses. Autark. Provide users with a secure way to upgrade app versions, fixes for features or enhancements to already installed/in use apps. App center. Aragon One. This application will enable organizations to interact natively with other web3 applications (including other Aragon organizations). Agent application. Aragon One. Allow organizations to distribute payments to token holders based on the number of tokens earned in a specific period (one-time reward) or based on total holdings (dividend). Autark. This app will allow organizations to manage on-chain salary payments and for employees to request payments and see their available balance. UX improvements. Aragon One. Implement an activity panel that will provide people information about ongoing and past transactions as well as a toast component for immediate feedback on users’ actions. UX improvements. Aragon One. Guided on-boarding of projects interested in collaboration with Aragon or use Aragon tools for their governance needs. UX improvements. Aragon One. Allow organizations to manage their manifesto, mission statement, values, code of conduct, and contact information so it’s easily accessible to prospective and current members of the organization. Autark. Enhance app discovery and app management for end users. Expand the on-boarding and app center experience. App center. Aragon One. Allow individuals to create and manage their user profiles, mapping their address to a human readable name that can be used to interact with apps within the organization. Identity experience. Aragon One. Allow individuals to associate additional details to their identity such as Github commit history, work history, portfolios, and membership to other Aragon organizations. Autark. Design the implementation strategy and information architecture for user profiles and contextual discussions. Document infrastructure solutions and recommendations for Aragon apps that require fast and queryable data that is hosted on distributed storage. Autark. Research new organizational models, define the apps and permissions required to realize them and create kits that people can use. UX improvements. Aragon One. Allow users to create and manage their organizations’ profiles, providing an intuitive way to add members to a given organization and granting them permissions & privileges. Identity experience. Aragon One. Expand governance possibilities by providing more features for reputation-based organizations, including the ability to allocation non-transferable tokens in place of (or in addition to) traditional bounties. Autark. Push Lorikeet as an ecosystem-wide project, while still providing an Aragon-opinionated experience with aragonUI. Lorikeet design system. Aragon One. Allow for more tightly coupled forwarder interactions where the forwarded call data can be leveraged and modified within the Forwarder contract. Autark. “Funding starting to flow from @LivepeerOrg network into the Video DAO enabled by @AragonProject. Current balance of the DAO’s fund stands at $106.67. New Aragon DAOs Deployed per day. Source. Aragon mentioned in OrgTech Weekly #4. Aragon community continues to grow. There is a constant slight growth in Aragon social media channels. Twitter — Average number of retweets is 10–15 for one post. 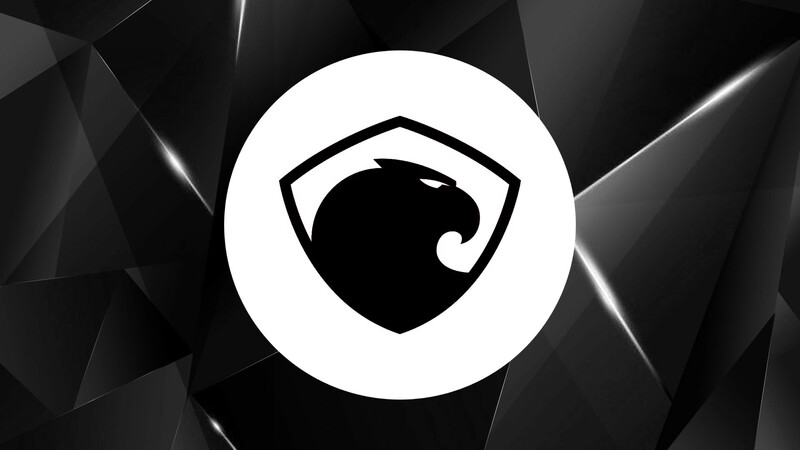 There is new AragonBlackTeam @AragonBlackTeam Twitter: The Pando network team is applying to join Aragon project & become the 3rd team that will stand beside Aragon One Team and Autark in its fight for freedom. The number of Reddit threads’ comments are: 1–15. Aragon chat — Active discussions on development and development help. The Aragon Chat channels are also available through Matrix.org / Riot.im, bridged with the Rocket Chat channels so you can choose which client / interface you prefer to use to chat with the community. The Aragon community in Matrix / Riot. Aragon forum just got a fresh redesign. Check it out! There is a slight growth in Aragon community over time. The graph above shows the dynamics of changes in the number of Aragon Reddit subscribers and Twitter followers. Aragon project has no Facebook page. The information is taken from Coingecko.com.